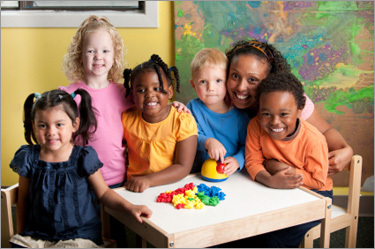 Our goal at Little Smiling Faces Day Care, Inc. (LSF) is to give our children a warm and loving environment, whereby they can grow socially, physically, emotionally and intellectually. We will assist in supplementing the values and morals that are already being instilled by you. We believe that children learn at their own pace and we encourage them to freely explore different avenues of learning. Our Program is designed so that each child is free to explore their creativity, discover the fascinating things the world has to offer and learn about the different types of cultures and their environment. Our job at Little Smiling Faces Day Care, Inc. is not only to provide a safe, nurturing environment, but also to provide an environment that is instrumental in developing your child’s confidence, self-control, and self-esteem, which will help them to feel good about themselves.